Referred to as vitamin B complex, the eight B vitamins — B1, B2, B3, B5, B6, B7, B9, B12 — play an important role in keeping our bodies running like well-oiled machines. These essential nutrients help convert our food into fuel, allowing us to stay energized throughout the day. B vitamins are found in whole unprocessed foods. Processed carbohydrates such as sugar and white flour tend to have lower B vitamin than their unprocessed counterparts. Good sources for B vitamins include legumes (pulses or beans), whole grains, potatoes, bananas, chili peppers, tempeh, nutritional yeast, brewer’s yeast, and molasses. Vitamin B Complex specifically include: thiamine, or vitamin B-1; riboflavin, or vitamin B-2; niacin, or vitamin B-3; pantothenic acid, or vitamin B-5; pyridoxine hydrochloride or vitamin B-6; folate, or folic acid; biotin; and cyanocobalamin or vitamin B-12. The B complex vitamins are water-soluble. This means that, unlike many vitamins which can be stored in the body for future use, your body is unable to store most B vitamins, with vitamin B-12 being the exception to the rule. Any additional B vitamin, i.e. B vitamin that isn’t used the same day, is excreted from your body through the urine. As such, you need a regular daily supply of B vitamins. Paired alongside the Complex B are Antioxidants and Amino Acids. So not only does this supplement help to relieve stress and maintain energy levels in the face of everyday hectic lifestyles. 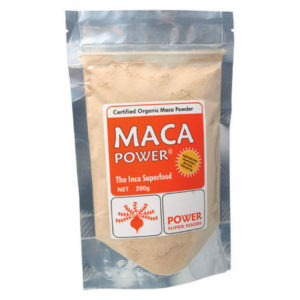 It is formulated to assist brain function, such as memory and concentration. And it helps maintain a healthy digestive function. 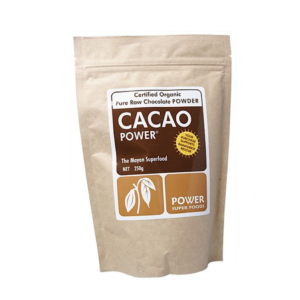 Whatever your lifestyle this Complex may be ideal way to increase the antioxidants in your diet. Symptomatic relief of stress disorders: The combinations of nutrients in Meta Complex may support healthy nervous system and adrenal gland function, and so may help maintain a healthy body during times of stress. 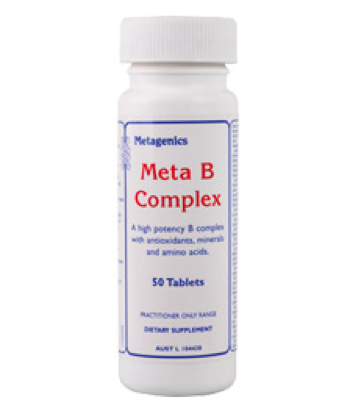 May assist brain functions such as behaviour, memory and concentration: B vitamins and other co-factors included in Meta B Complex are required for neurotransmitter production and maintenance of healthy neurological function. This formula may, therefore, be of assistance in maintaining healthy cognitive function. May help improve energy levels: Meta B Complex provides high levels of B vitamins, magnesium and chromium which are essential for ATP production and metabolism of foods in the body. 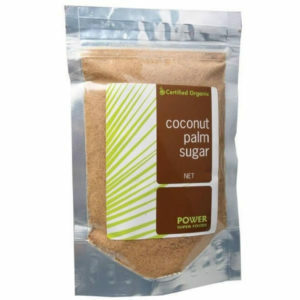 These nutrients also play a vital role in the production of energy from carbohydrates and in sugar metabolism generally. Help maintain a healthy cardiovascular system: Meta B Complex provides B12, folic acid and iron which are important nutrients for maintaining normal blood and will prevent deficiencies of these valuable nutrients. Further, high levels of scientifically ratio-balanced B vitamins ensure maximum nutritional support for the body and many help to maintain normal homocystine levels (a biological marker associated with increased risk of a variety of diseases) in the body. The inclusion of mixed carotenoids and mixed tocopherols in Meta B Complex provides excellent antioxidant support. Mixed carotenoids and tocopherols produce a far broader and superior therapeutic activity than a single carotenoid or tocopherol concentrate. This formula also helps maintain glutathione activity through its capacity to promote glutathione peroxidase, the enzyme that regenerates oxidised glutayhione. Selenium acts synergistically with tocopherols to ensure a significant reduction in oxidative stress on the body. The further addition of Amino Acids to this Meta B Complex is important as twenty percent of the human body is made up of protein. 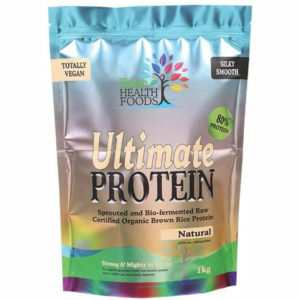 Protein plays a crucial role in almost all biological processes and amino acids are the building blocks of it. A large proportion of our cells, muscles and tissue is made up of amino acids, meaning they carry out many important bodily functions, such as giving cells their structure. They also play a key role in the transport and the storage of nutrients. Amino acids have an influence on the function of organs, glands, tendons and arteries. They are furthermore essential for healing wounds and repairing tissue, especially in the muscles, bones, skin and hair as well as for the removal of all kinds of waste deposits produced in connection with the metabolism.